Ray City Elementary School. Mrs. Taylor & Mrs. Patten’s Eighth Grade, 1960-61. Front Row, fourth from the left is Johnnie Guthrie. Other Identifications needed. Ray City Elementary School. 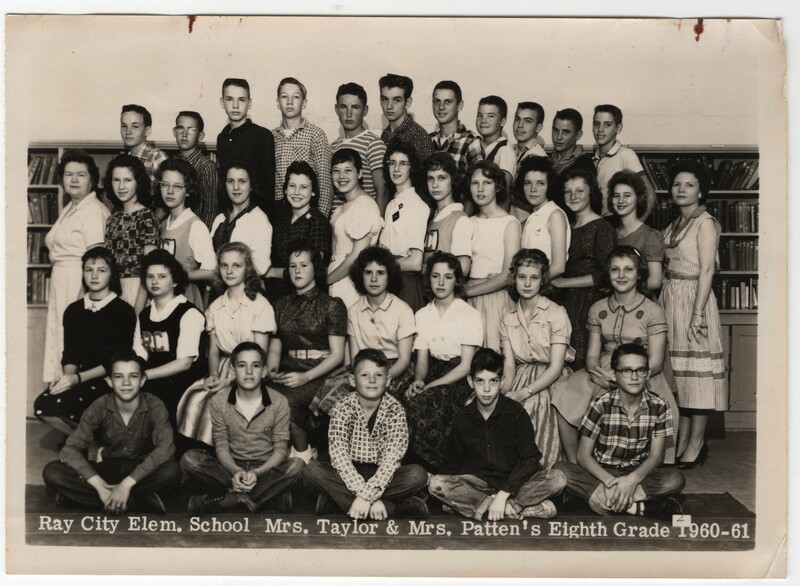 Mrs. Taylor & Mrs. Patten’s Eighth Grade, 1960-61.